If you were in the DMV area and able to make it out to the Corcoran Gallery of Art this weekend you probably saw this as part of the ‘Crossing the Line’ Alumni exhibit. 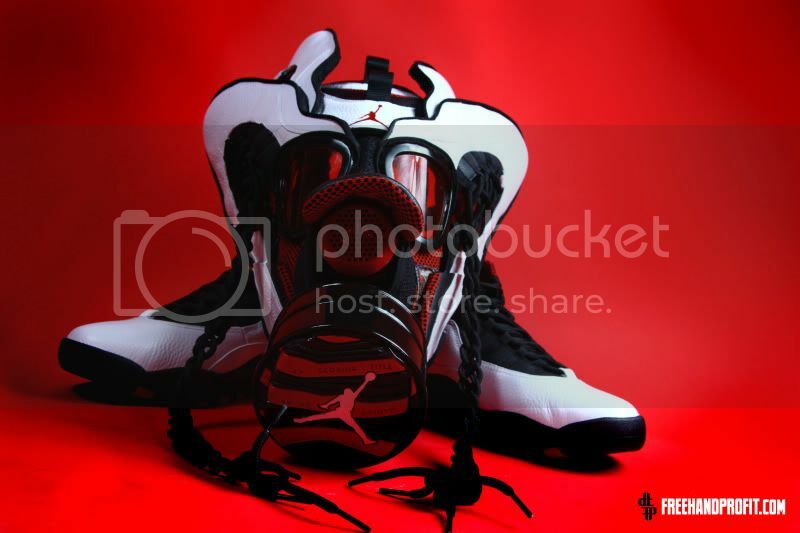 Along with the Coach Gas Mask and All Star Dunk Gas Mask, the Chicago X Gas Mask marked my return to the DC art scene. I had the chance to meet up with fellow sneakerheads and fans to talk about the work and of course the state of the kicks universe. While there I also linked up with Laced Up to do an interview for their upcoming documentary on the sneaker culture. If you missed the opening don’t worry, the show will be open to the public through May 20, 2012. As I’ve mentioned before the sacrifice is important to my work. The Chicago X Mask marked an even larger sacrifice. 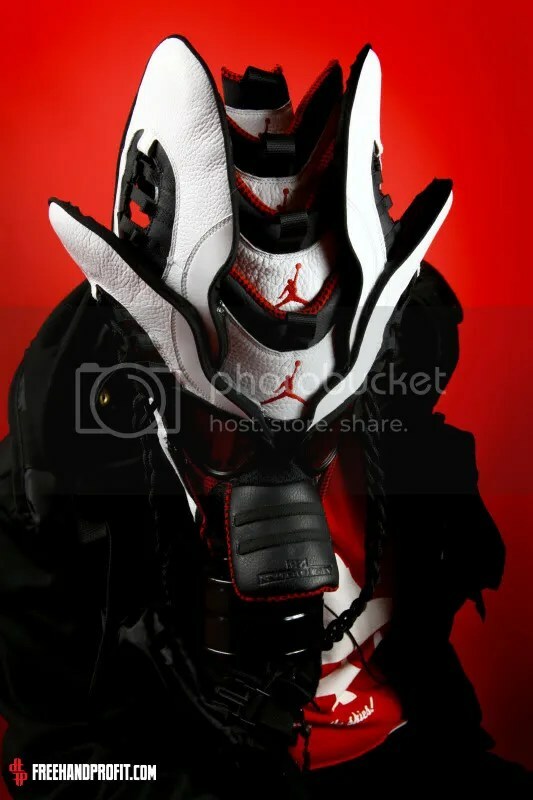 With the exception of the Adidas Stormtrooper helmet, the sneaker gas masks have been made from a single pair of shoes. When starting work on a mask I do begin with 2 pairs, one for the mask, one for my collection (which stays on ice until the mask is done and the photo shoot completed). 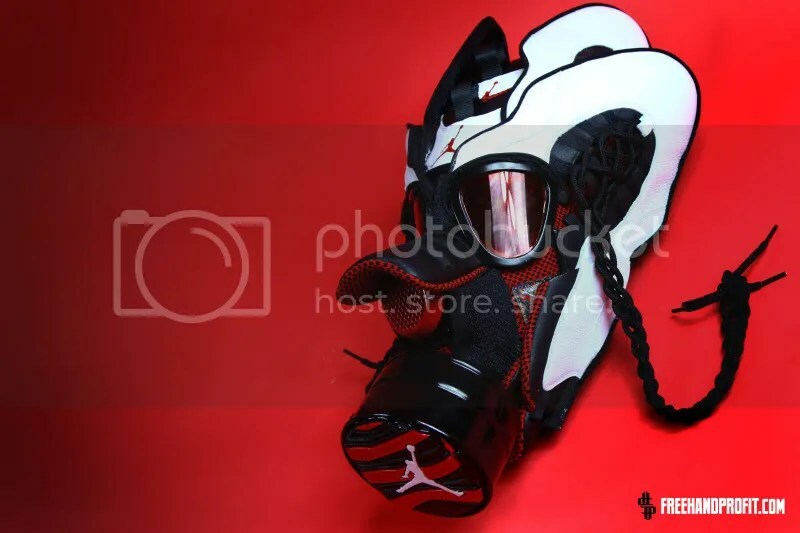 The Chicago X Gas Mask however required me to cut into the pair from my collection making it the first gas mask to utilize 2 whole pairs of kicks. I’m more than happy with the results and despite the ache that still hits when I realize I don’t have a pair of the Chicago Xs to rock it was worth the sacrifice to complete this piece for the Corcoran show. Thanks to the homie Sardar for letting me borrow his Xs for the photo shoot. 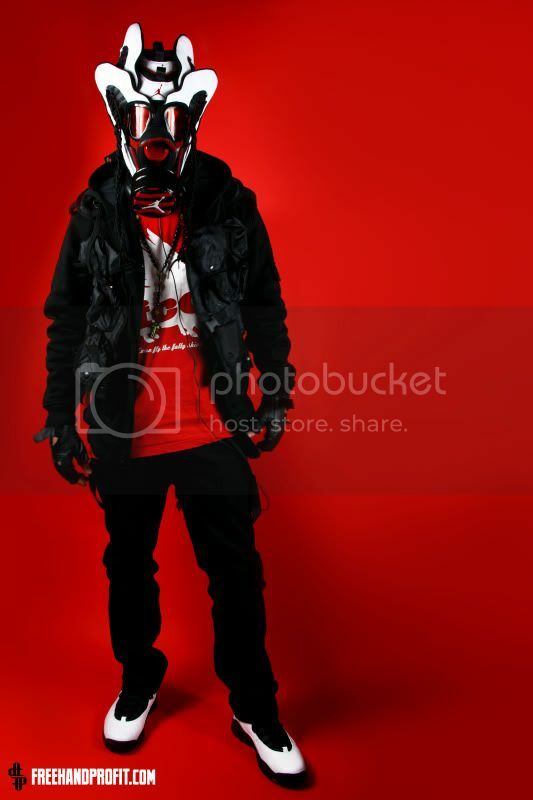 For more pics check out MASK365 on Facebook! This mask will be available for purchase once the ‘Crossing the Line’ exhibit is over. Offers are welcome, check here to contact me. I MUST know how to get you to do one of these for me! I would do ANYTHING to have one of these awesome masks! Can you give me more info on this please? Thank you! 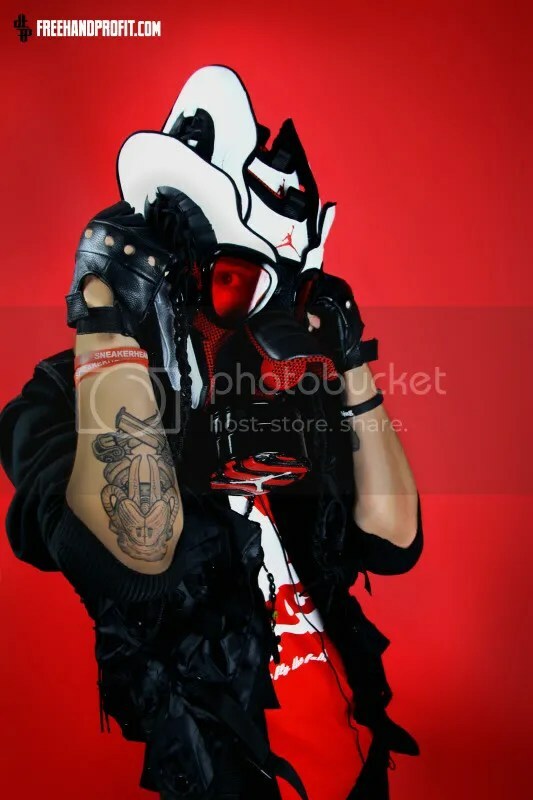 i want to buy this mask!!! Thanks, unfortunately this piece was stolen from an event last year and has yet to be recovered.